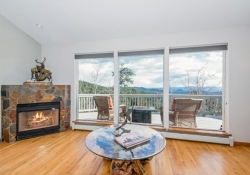 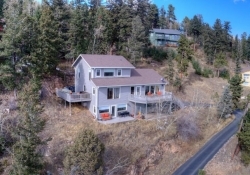 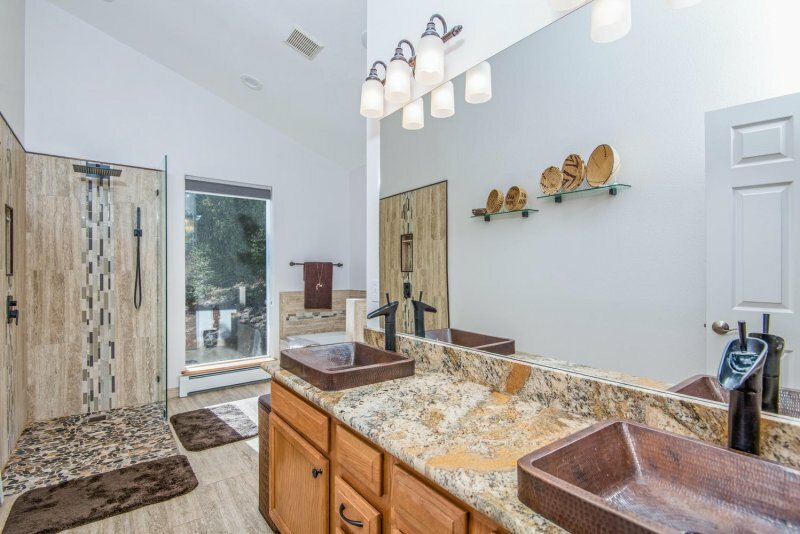 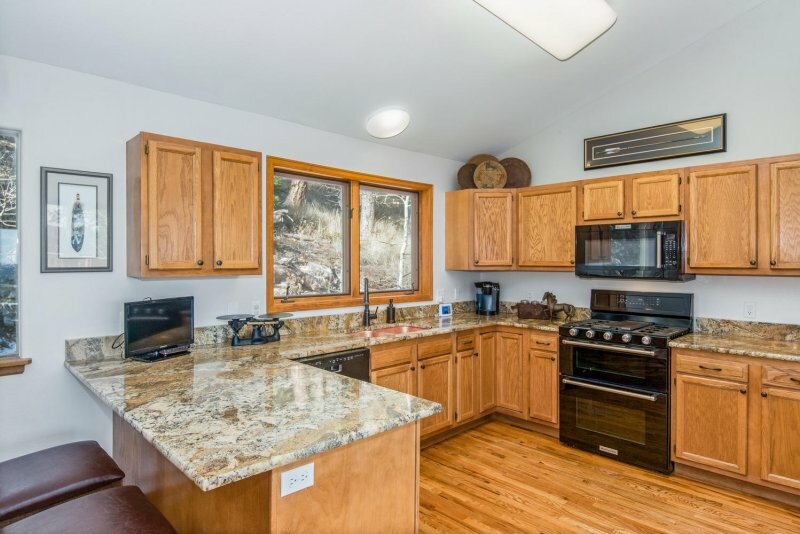 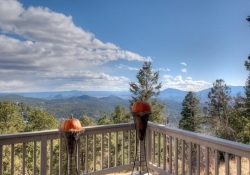 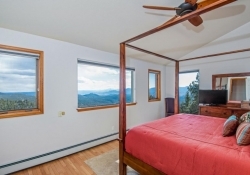 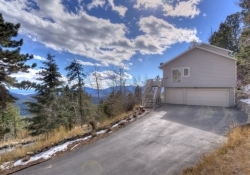 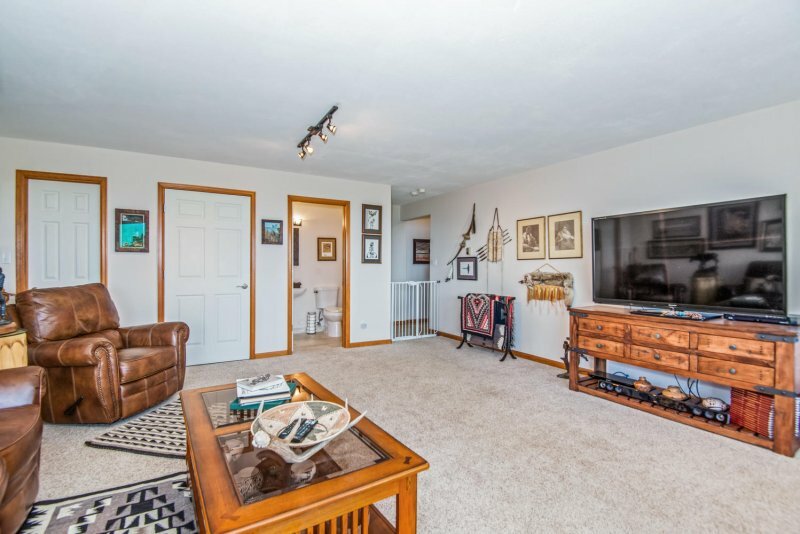 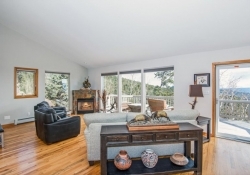 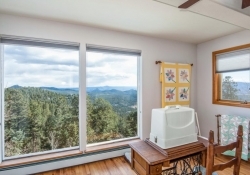 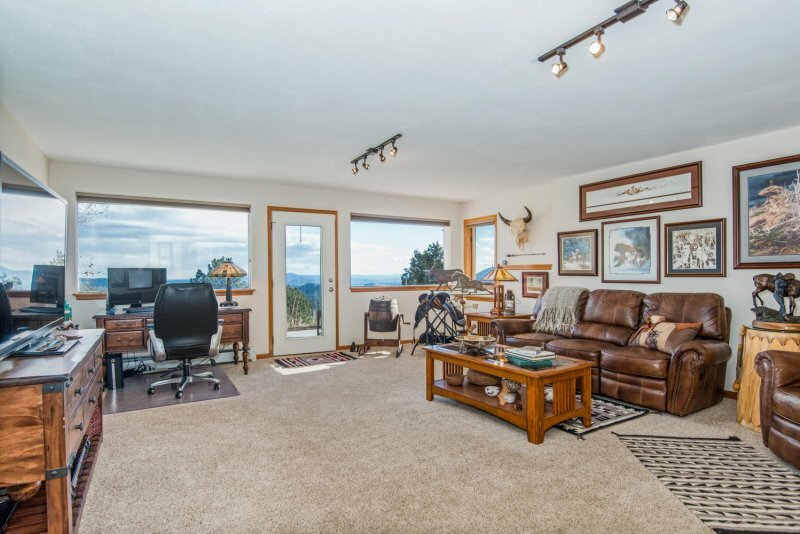 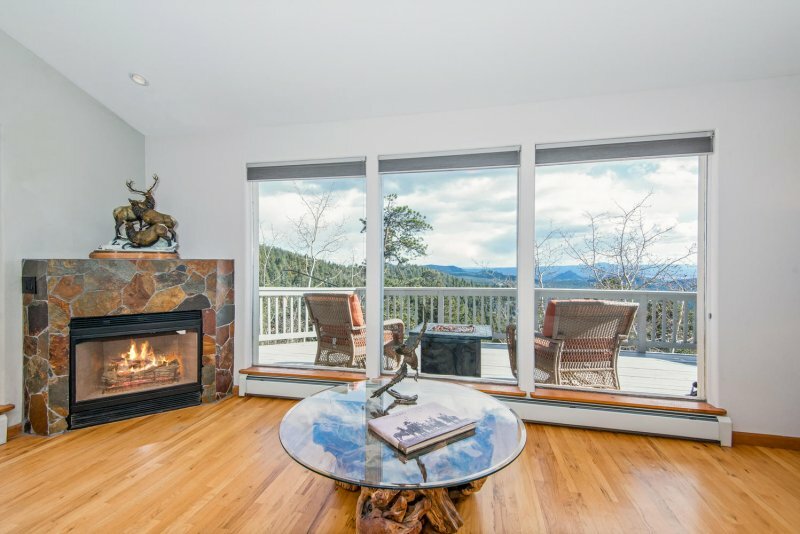 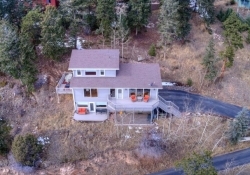 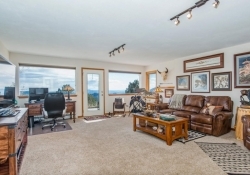 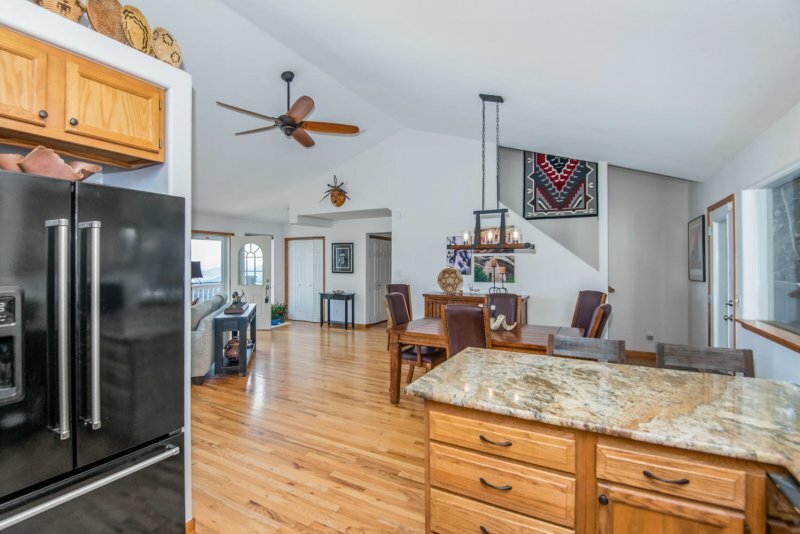 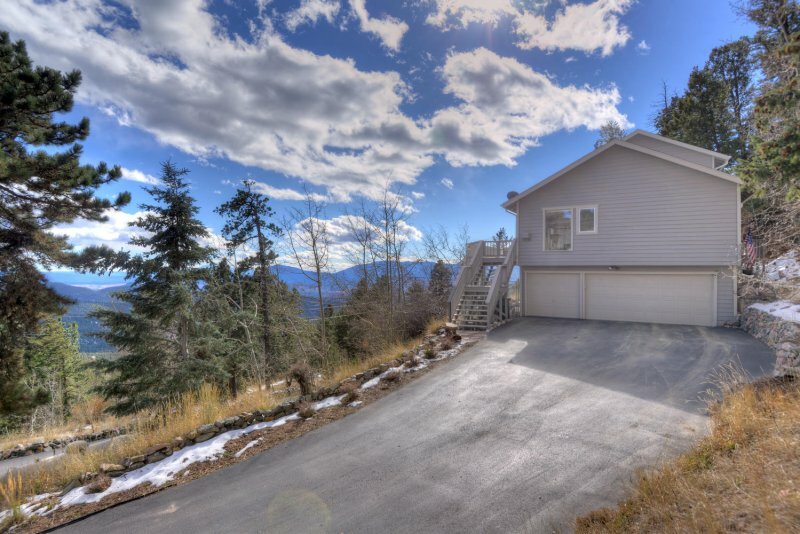 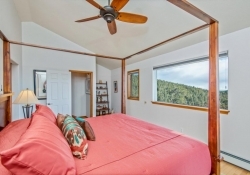 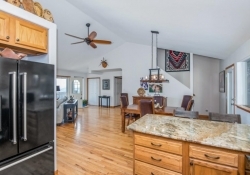 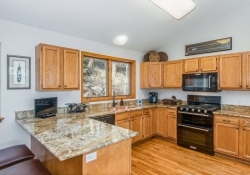 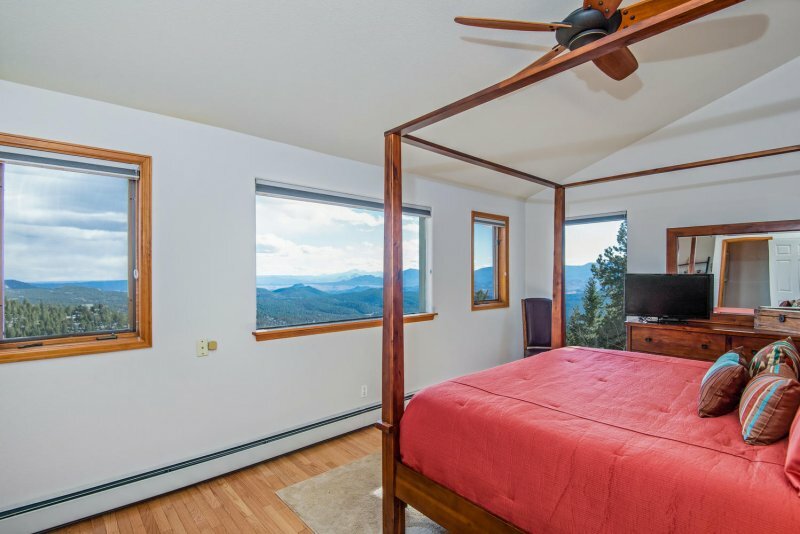 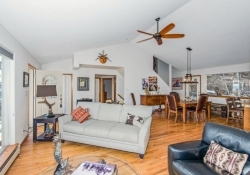 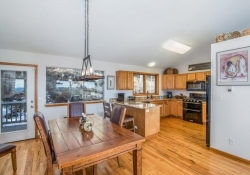 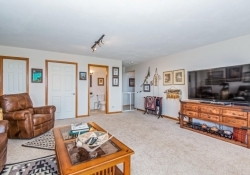 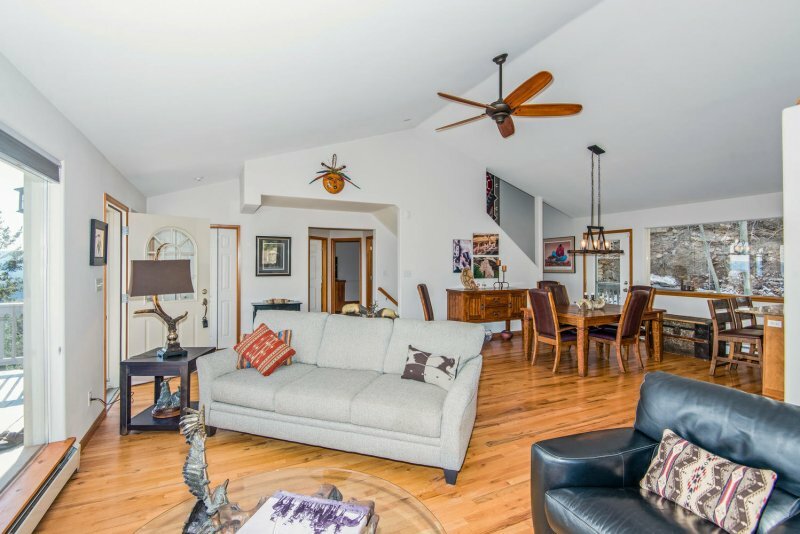 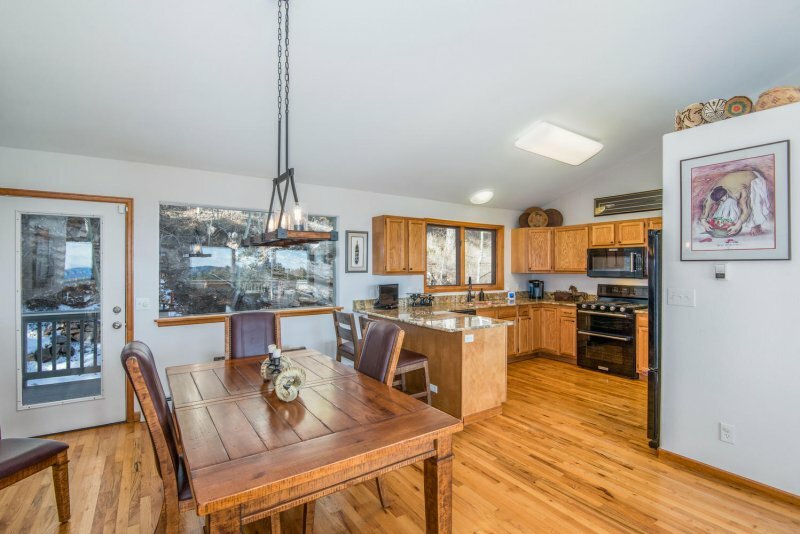 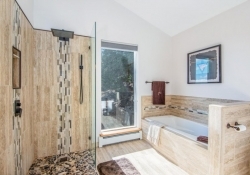 11629 is a quaint, mountain chalet located in Kings Valley subdivision of Conifer, Colorado. outside! You’ll spend much of your time on that deck for at least 6 months a year! It’s almost too gorgeous! 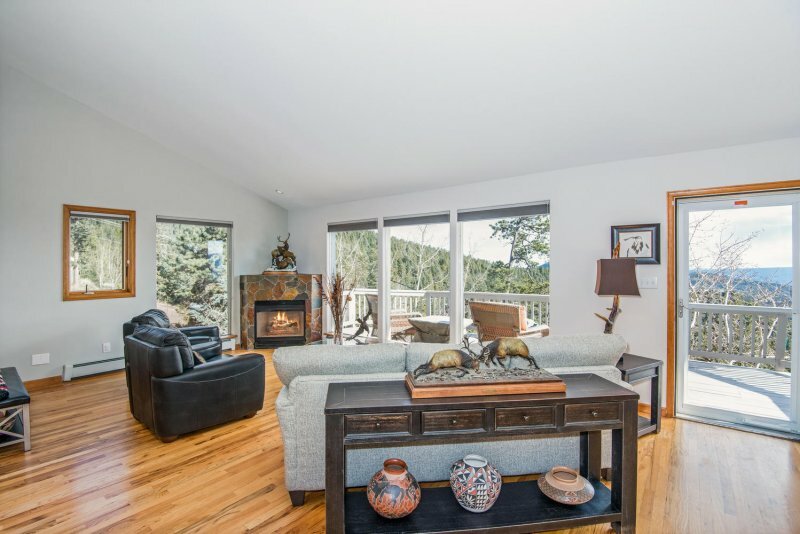 But, don’t let your fascination with the views totally distract from the light, bright and modern interior. 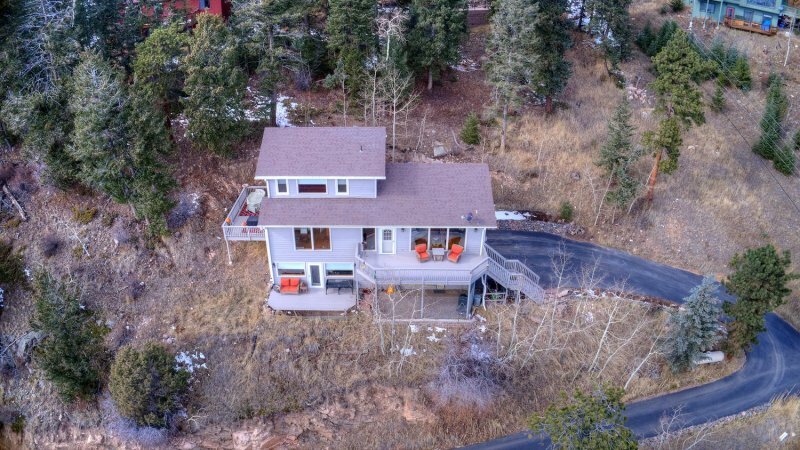 It’s a knock-out and a steal for under $600,000. 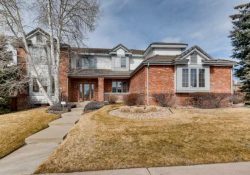 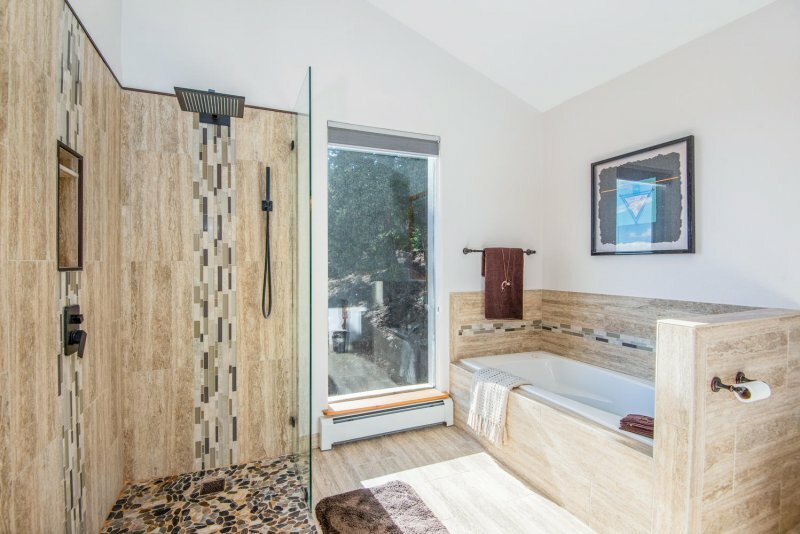 You’ll love the modern updates, 3 car garage with it’s own workshop, new hardwood flooring, new appliances, all new bath finishes. 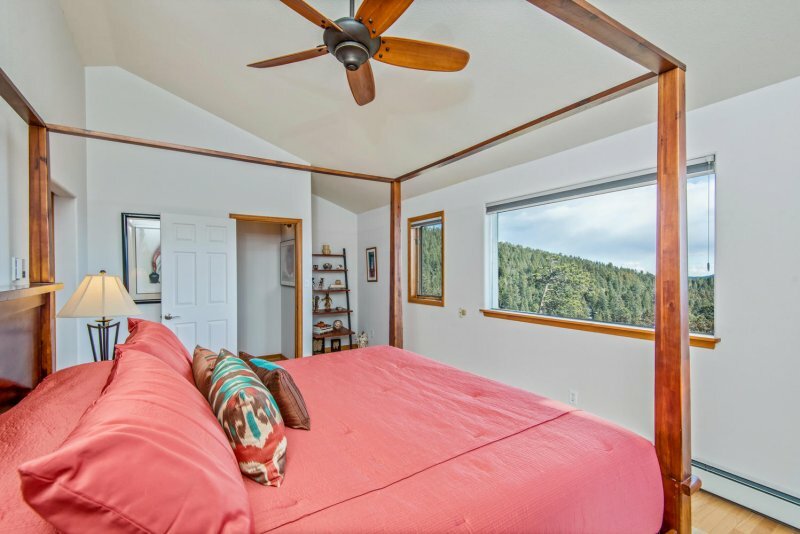 You won’t want to get out of bed in your jumbo 500 square foot master suite. 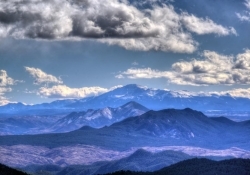 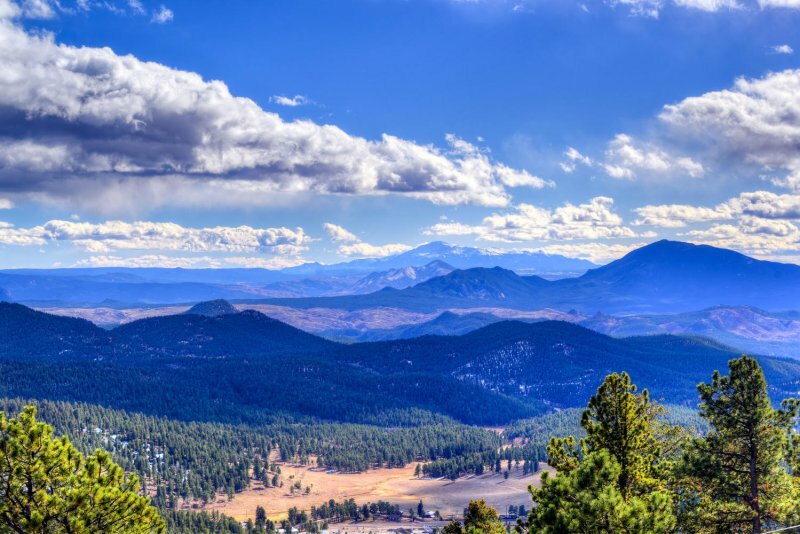 Because, you will be enjoying the spectacular views of Pike’s Peak calling you from 80 miles away. 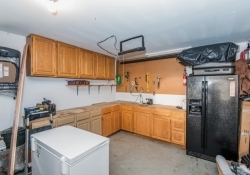 In addition, this home is actually on city and sewer which adds to value and convenience. 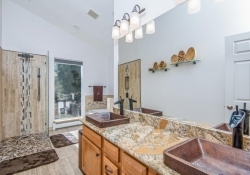 There’s no need to worry about a well literally going dry or servicing a messy septic system. 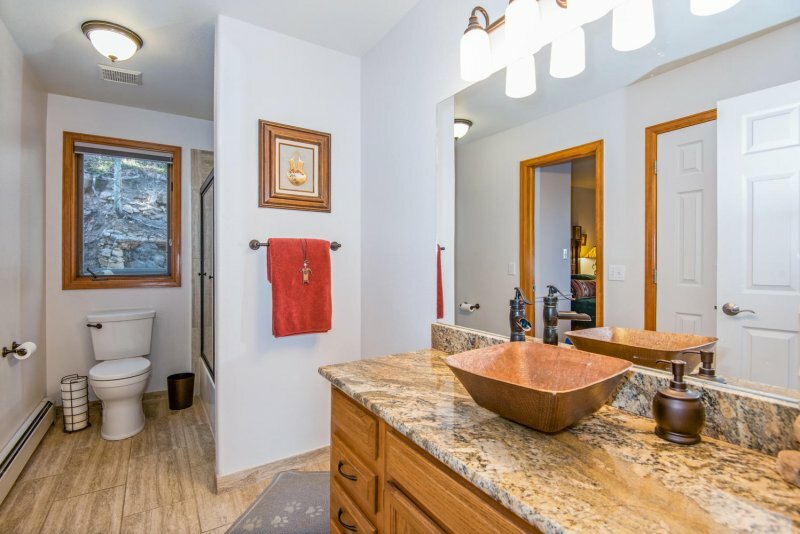 The local water/sewer district provides excellent services at a reasonable price. 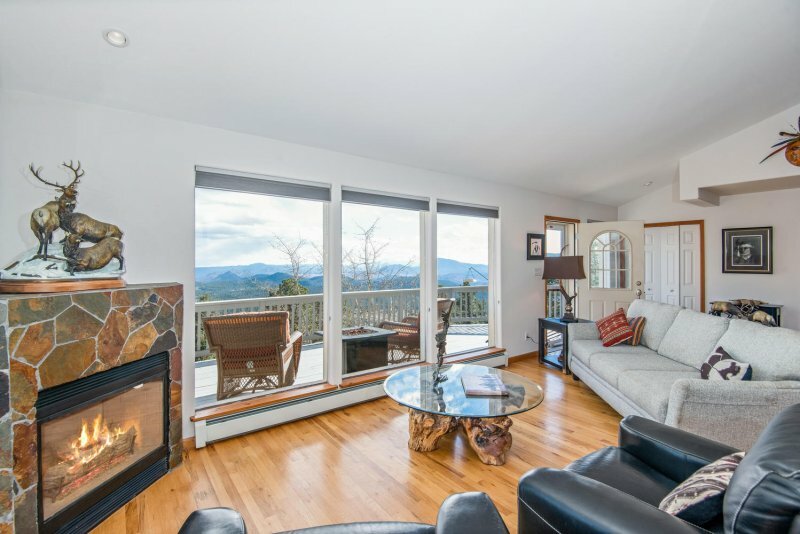 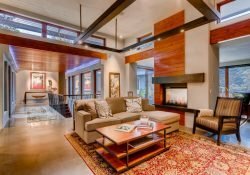 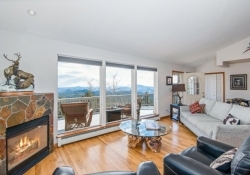 Lounge in your spacious Great Room with big views, cozy fireplace, and vaulted ceilings. 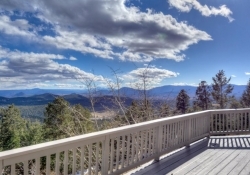 The area abounds with wildlife. The local water/sewer district provides excellent services at a reasonable price. 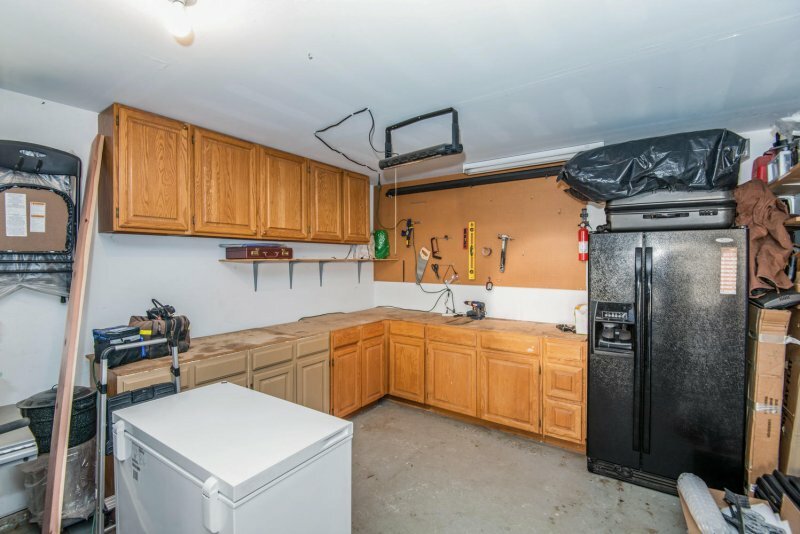 And, there’s no homeowners association or restrictions. 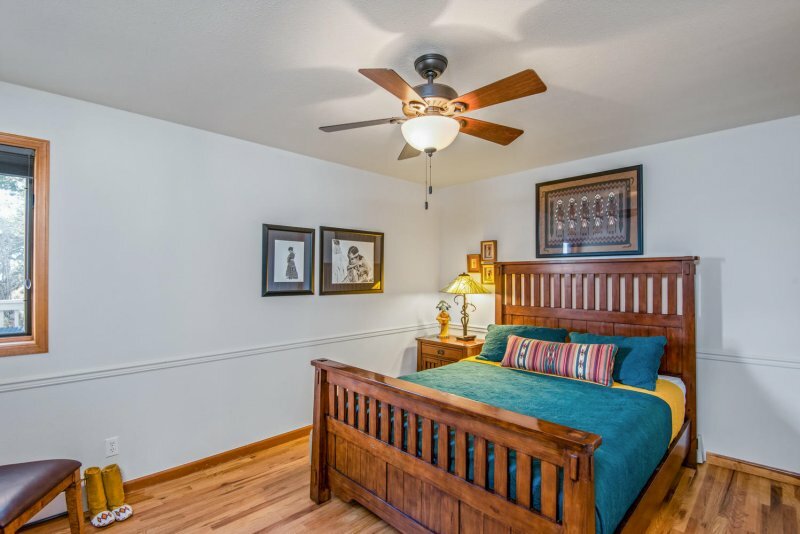 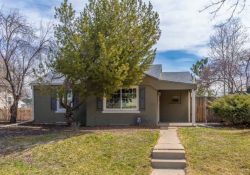 This quaint cluster of homes is conveniently near US2815 Highway. 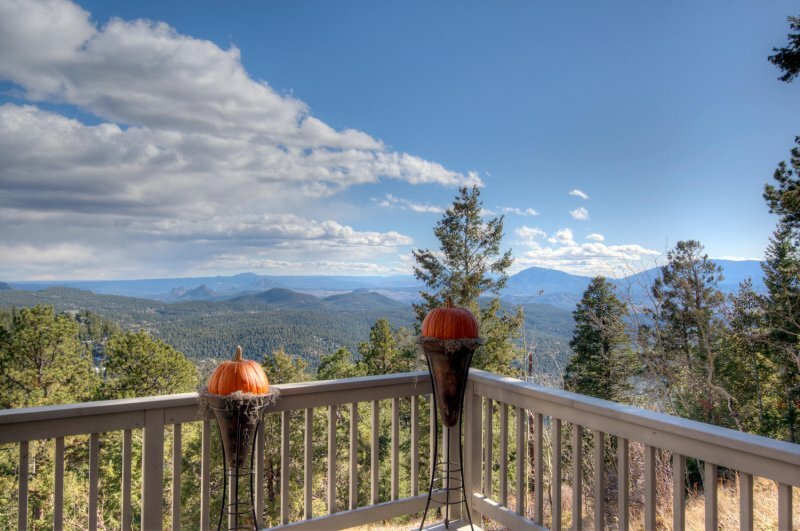 From there, the commute is Conifer is just 5 minutes! 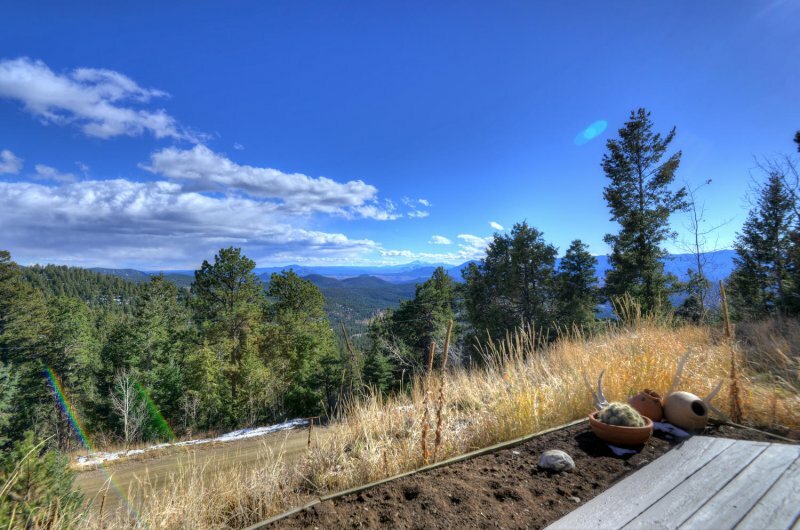 And, commuting to Denver ranges from 40-55 minutes. 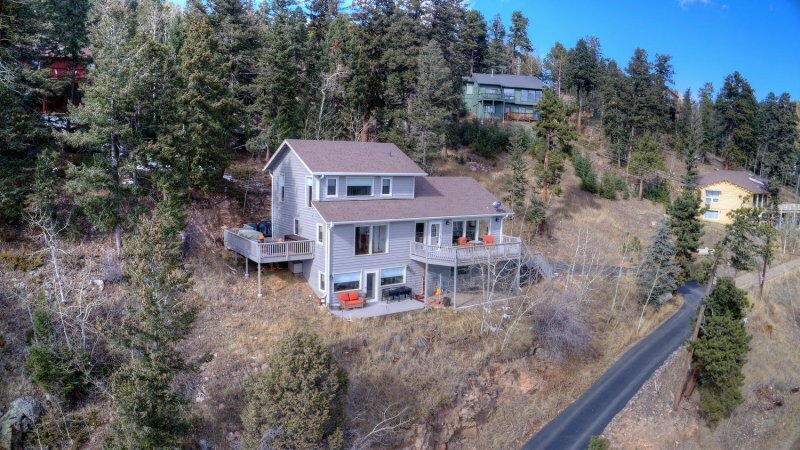 Kings Valley is relatively large subdivision with 340 homes incorporated to the town of Conifer, Colorado. 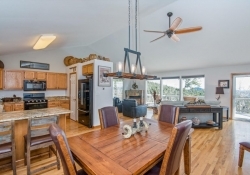 Homes range from modest cabins to huge, new homes. 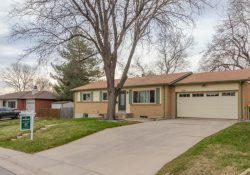 Some are located on small lots under 1/2 acres. 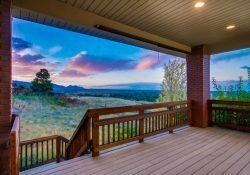 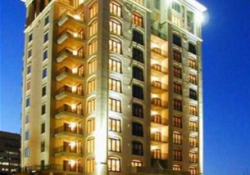 And, others can be on up to 5 acres of land. 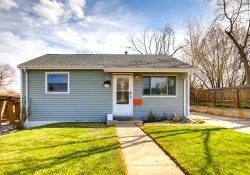 Remember, even larger lots often have small yards due to the steep typography. 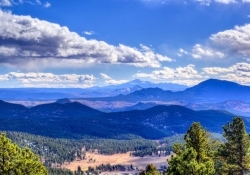 The elevation of Kings Valley ranges from 8000 to almost 9000 feet above sea level. 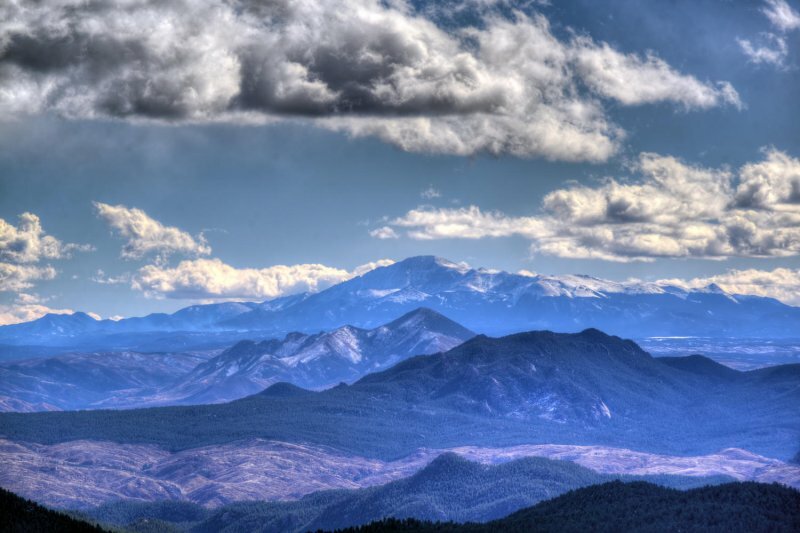 That’s 3000 to 4000 feet above downtown Denver.